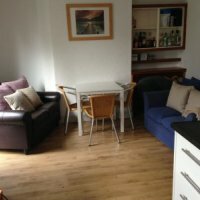 Open plan kitchen and lounge of this great 4 bed Loughborough student house. 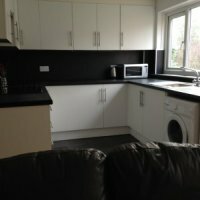 Modern kitchen of this 4 bed Loughborough student accommodation. Exterior of 34 Ashleigh Drive 4 bed Loughborough student accommodation. 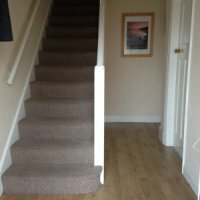 Hallway of 34 Ashleigh Drive 4 bed Loughborough student accommodation. 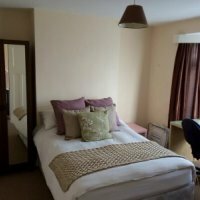 Bedroom 1 of 34 Ashleigh Drive 4 bed Loughborough student accommodation. Bedroom 2 of 34 Ashleigh Drive 4 bed Loughborough student accommodation. 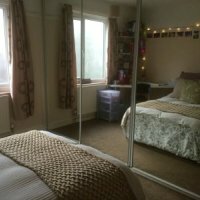 Bedroom 3 of 34 Ashleigh Drive 4 bed Loughborough student accommodation. 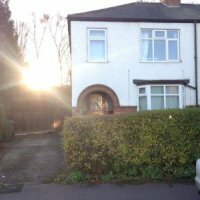 34 Ashleigh Drive, Loughborough, LE11 3HW. Location: Forest side, off Forest Rd. Bills included: All inc Internet. 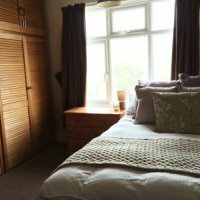 Modern 4 double bed student house off Forest Road (near the Toby Carvery), on a quiet street just 50 meters from the Uni entrance. Large open-plan kitchen and lounge, large back garden. - Very close to the Uni entrance. - Off-road parking for 3 cars plus plenty of on street parking.